Being a vegetarian all my life I have typically enjoyed all vegetables. Sometimes vegetarian food options can be limited and not always delicious, especially when it comes to healthy sides. 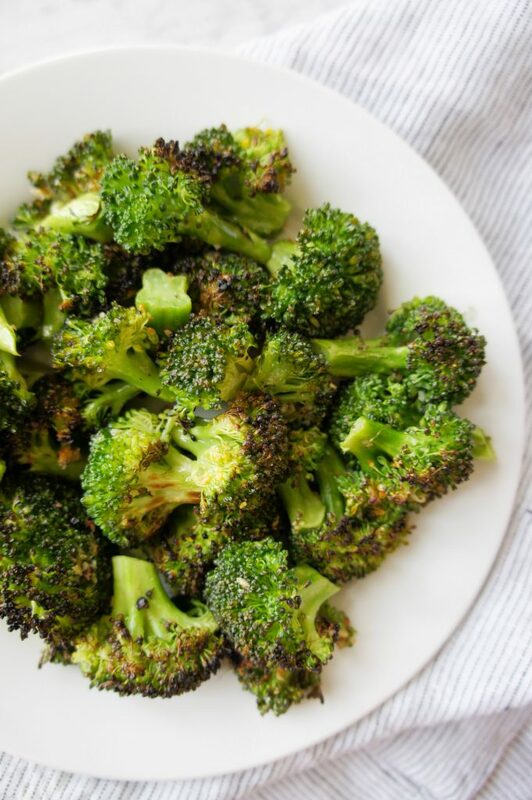 Broccoli is one such side item which very often can be bland or flavorless if not cooked well. 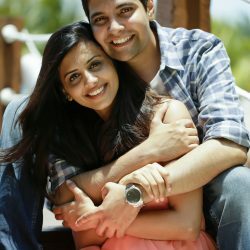 It is such a healthy green vegetable, which not only adds color to your plate but is also so packed with nutrition. This recipe has 5 ingredients and needs only 5 minutes! 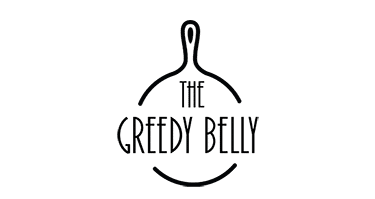 It’s coated in garlicky goodness, roasted just enough so that it still has a bite. I also make sure to char the edges just a little bit. It add such a deep flavor to a fairly easy recipe. 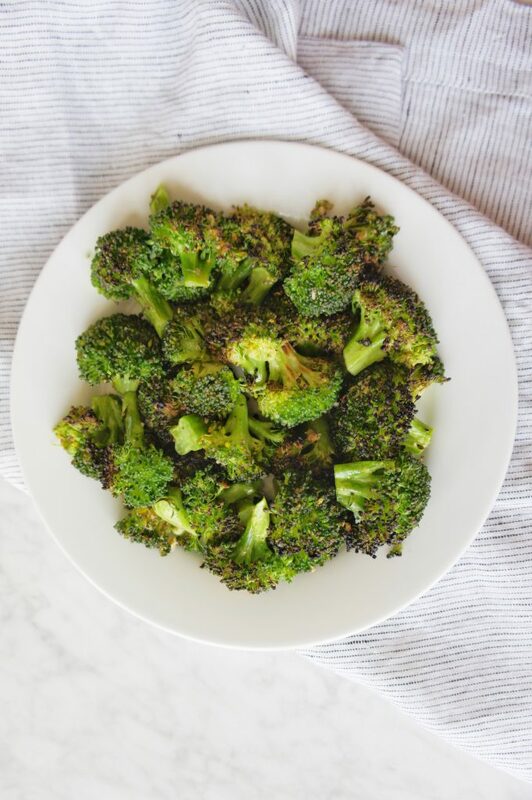 This roasted broccoli is great as a side, but we use it as an ingredient in so many different ways. Its great in a creamy pasta, as a topping on pizza, or even in a salad. 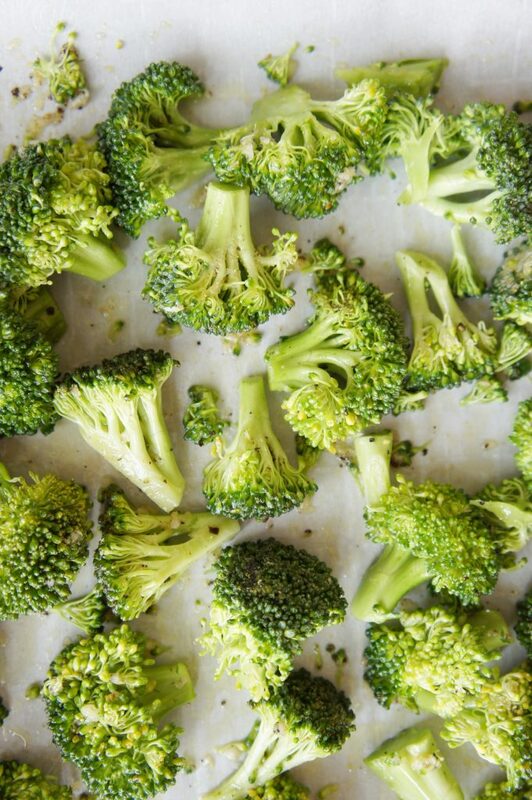 Eat it as is or use it as an ingredient, this recipe is a fantastic way to enjoy broccoli. 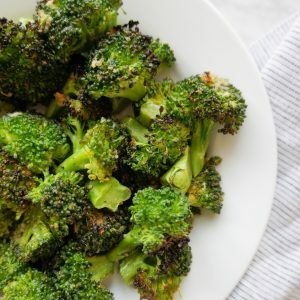 Green, healthy, garlicky, charred broccoli! Eat as a side or add it to your salad, pasta or even on top of a pizza. Place the florets in an even layer on a baking sheet tray. 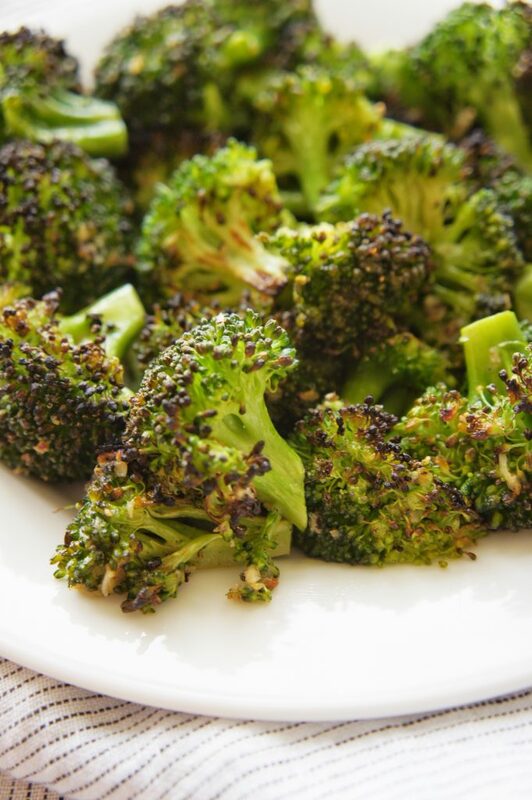 Add the olive oil, garlic, salt and pepper, so that the broccoli is well coated. Broil on high, placing the baking tray the top rack for 3 minutes. 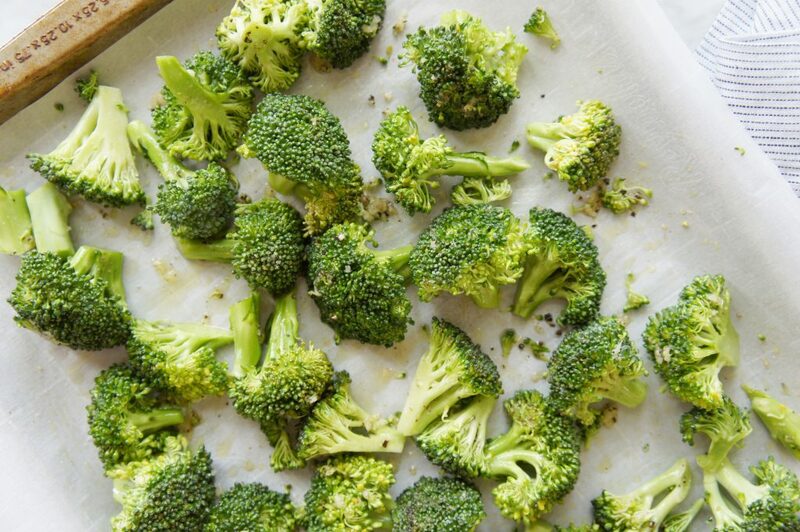 The broccoli should be slightly charred on the edges for that deep flavor.